John Parker of Los Angeles waters part of his garden which is in a parkway, a small piece of land next to the curb that is technically owned by the city. 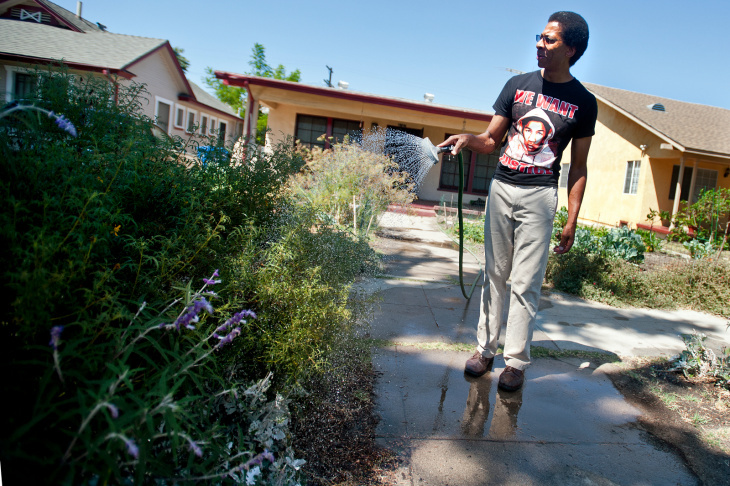 John Parker of South Los Angeles waters his parkway garden where he grows several different kinds of herbs. John Parker picks strawberries from his garden. Parker and his wife also grow figs, artichokes, rhubarb, and many others for cooking. Parker started to grow fruits and vegetables because he didn't like the produce quality at his local grocery store. John Parker waters his garden with his dog, Diamond. Parker first planted herbs in the parkway garden a year ago. Also in Parker's garden are tomatoes, squash, peppers, and chard. John Parker takes a closer look at a mushroom he found in his garden. John Parker waters his garden on a hot day. 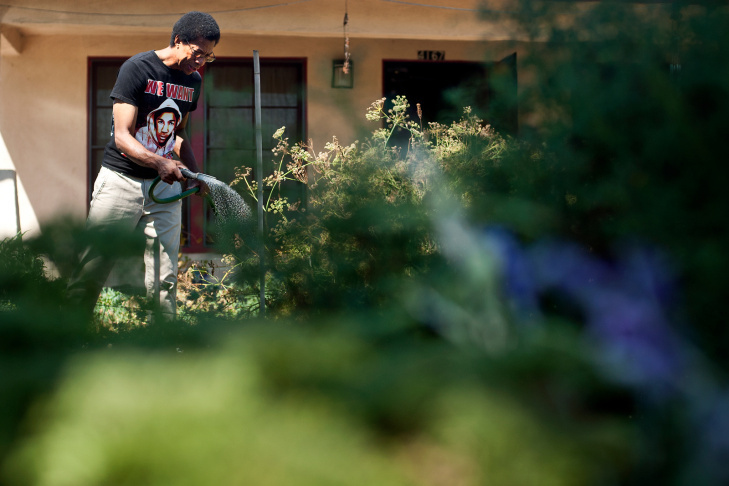 He said before he got help from L.A. Green Grounds, him and his wife had multiple failed attempts at growing produce in the front yard. John Parker said his garden inspired his neighbors across the street to plant in their parkway, too. 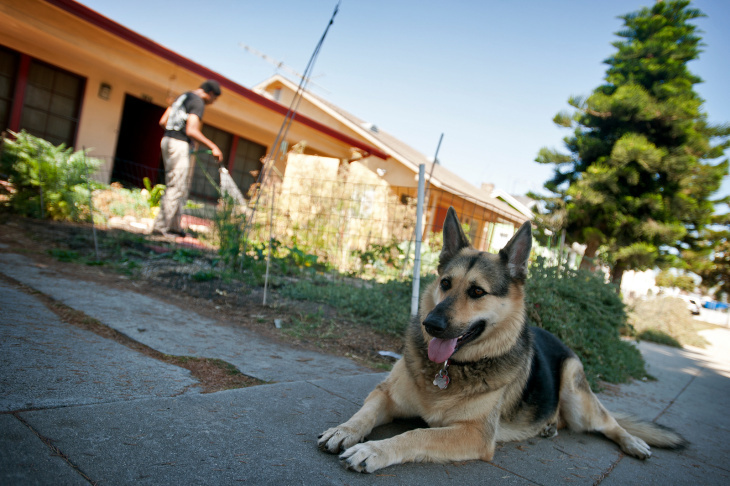 John Parker's dog, Diamond, sits in the shade as Parker waters his front yard garden. He put up a small fence around the garden to protect it from neighborhood dogs and other animals. 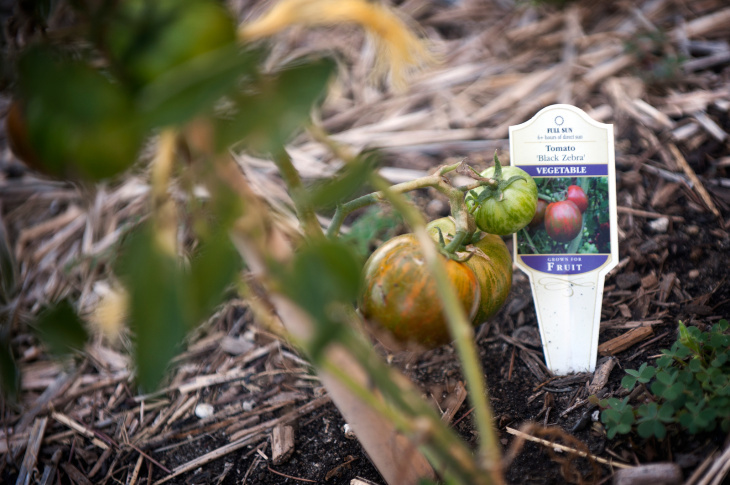 The whole concept of locally grown food may be about to get a lot more...local. You no longer have to eat fruits and vegetables that have traveled hundreds of miles to reach you, but instead may be able to grow them outside your home on city property. The Los Angeles Department of Public Works is in the process of assembling a new list of plants that are acceptable to grow on public parkways. Those are the rectangles of land sandwiched between streets and sidewalks. They are found – in varying sizes – along many roads in L.A. They are somewhat controversial, as the city owns them, but the nearby property owner is responsible for maintenance. And for people like South L.A. resident John Parker, these small parkways can produce huge results. "So we've got thyme, which I use a lot with my tofu, dusty miller, and you know what, the other ones..." says Parker while he gives a tour of his garden. "I only remember plants I can eat." Parker grows mostly herbs and plants on his parkway, and fills his front yard garden with fruits and vegetables, including a huge swath of fennel that he uses to make homemade vegan sausage. "It's kind of a different paradigm. You think of your front yard as for grass all the time and you don't really think of the idea. But as soon as we did it, people really admired it... We still get people coming by and looking at the garden and saying: 'Oh wow!'" Parker says. But what Parker grows on the parkway is actually illegal. L.A. has a very short list (read below) of plants that people are allowed to grow on these small strips of public land. Most of the options are limited to grass or low-growing, drought-tolerant plants. Anything else requires a permit, which starts at around $400. Although city officials say citations for parkway violations are typically issued when they get a complaint from a neighbor, for now, no one in L.A. will be cited for breaking the rules. The city council has issued a temporary freeze on these tickets while a new list of acceptable plants is compiled. 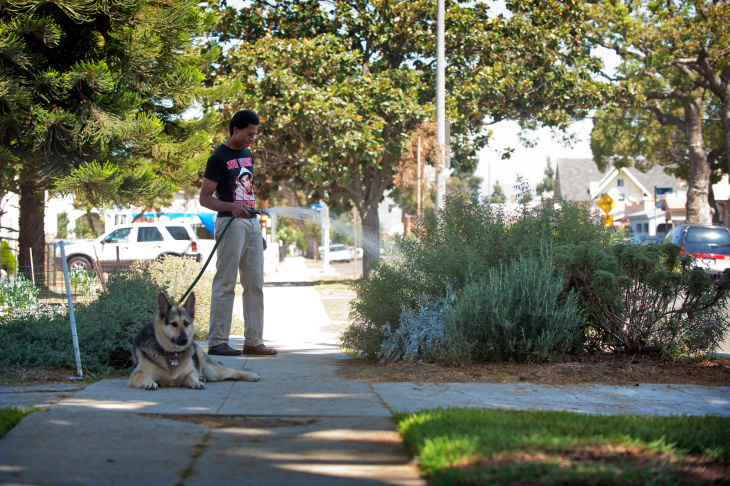 This expanded list comes after a group of Angelenos touted the benefits of parkway plants. Through her group L.A. Green Grounds, Florence Nishida has helped lead the push for a longer list of plantings. 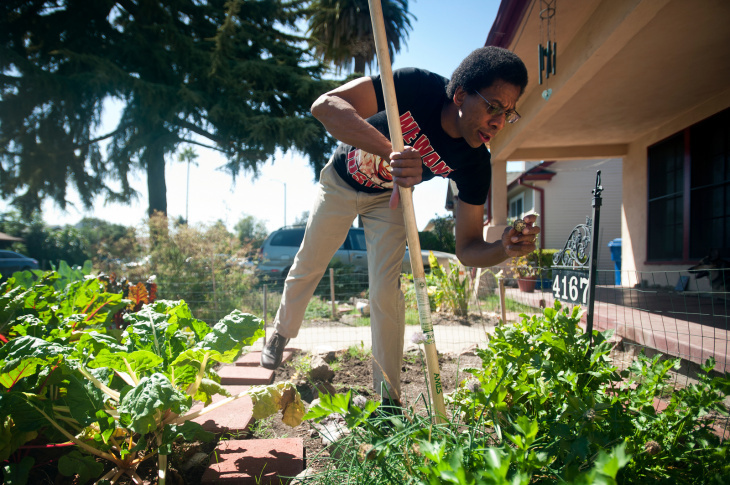 She has also coordinated the creation of many new parkway gardens in South L.A. Nishida, along with dozens of volunteers, helped Parker start his garden. The master gardener said these green spaces are about more than aesthetics. It's about providing healthy food. "There are very few supermarkets here (in South L.A.) compared to affluent neighborhoods," Nishida said. "The food choice is usually between one fast food outlet and another fast food outlet." She said that expanding the list of what is acceptable to grow in a parkway could help bring fresh eats to low-income areas, like South L.A. It is a new way to make use of under-utilized green space in a dense, urban environment. Nishida said many Angelenos turn to fast food because it's a quick and easy way to eat. But being able to grow fruits and veggies at home could provide a cheap, healthy option. 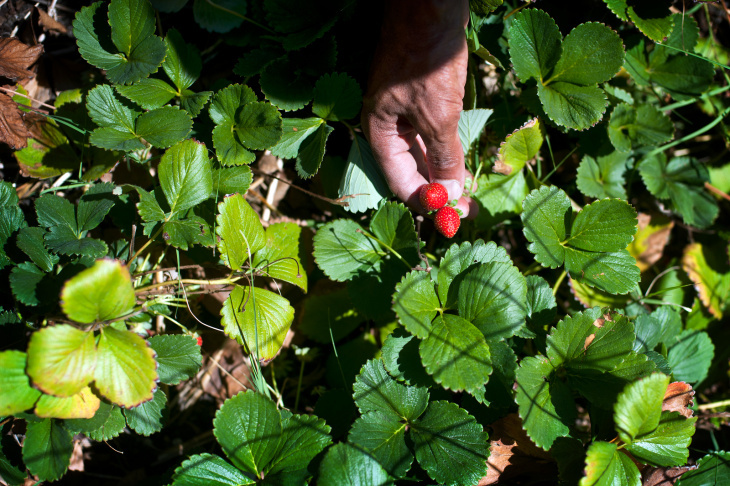 "There's nothing more convenient, faster for eating than something you can pick out of your own garden," said Nishida. "I mean, you can pick all your salad greens, and even your pot herbs, your tomatoes and cucumbers and all of that, right out of your garden and eat it in a few minutes." But officials in L.A. say that even if they expand the acceptable plant list, it's not going to be a free-for-all. The rules are in place for a reason — namely, to minimize liability. Tom Caraballo is with L.A.'s Bureau of Street Services and oversees enforcement of the parkway guidelines. He says illegal parkways can pose tripping hazards, force pedestrians to walk in the street or make it difficult for people to open their car doors when parked. He said some of the biggest problems arise when plants grow too tall and obstruct the views of drivers and pedestrians. "This property may have some vegetation, some shrubs, bushes, five, six feet tall and it becomes a safety issue," Caraballo said. Some sidewalk gardeners either don't know what they're doing is illegal, or don't really care because they figure the city has bigger problems to deal with. And as far as greedy produce pickers go, Parker said he's had no trouble with people taking his produce. In fact, he has been growing so much he's been giving it away to neighbors. The Los Angeles Department of Public Works is in the process of putting together the new list of acceptable plants. 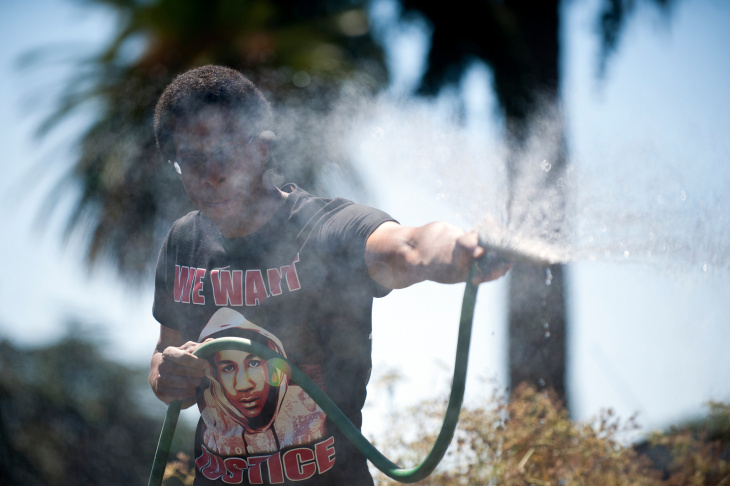 It will have to be approved by the Board of Public Works, and then on to the L.A. City Council.